What can FSU fans expect from former Michigan State co-defensive coordinator Harlon Barnett? Will Irele Oderinde bring a culture shift as a strength coach? Plenty of discussion of the new hires on this episode. 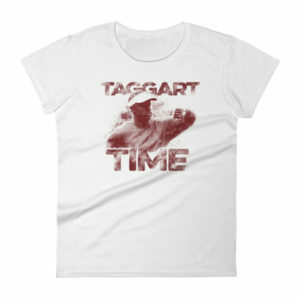 T-shirts celebrating the #TaggartEra are now available in the newly-launched Unconquered Shop. Support the podcast by buying a shirt or other gear! Lots more excellent gear getting added soon. Podcast brought to you by Jacksonville, FL realtor, Luis Marquez, who brings professional photography and videography skills to online real estate listings. Check out examples of Luis’ work here: https://www.pixelperfectlisting.com/. Support the podcast and contact Luis for all your greater Jacksonville real estate needs at 850-443-5797 or via email at luismarquez@kw.com.